I’ve often wondered if I would ever move back to my home state of Wisconsin. It’s not the logistics that phase me—I’ve lived in California, Illinois, and Massachusetts in the last three years. No, I’ve wondered whether the state could lure me and my wife with promising and satisfying jobs to complement the state’s kind people and bucolic countryside. Yesterday, I learned that will never happen. It was yesterday that Governor Scott Walker survived a recall election. The contentious recall was spurred by his decision to strip public employees of their collective bargaining rights, the majority of whom are teachers.¹ Walker sold the move as a way to balance the budget, but really he was just codifying the shift in Wisconsin’s values that has occurred over the past few decades. It also betrays Wisconsin’s uncertainty about how to deal with the future. Wisconsin, like many rust belt states, has had a difficult time finding its economic footing ever since off-shoring became de rigueur among manufacturing companies. It’s had a few chances since then, but none more promising than the biotech opportunity that slipped through its fingers. The University of Wisconsin was a pioneer in stem cell research. Had George W. Bush not restricted funding for stem cell research, Madison could have been an incubator for related startups, enabling the state to shrug off its manufacturing past. It was a rare glimpse of an alternate future. The loss of that future should have galvanized public and private investments in education and research to unearth the next big opportunity. Instead, Wisconsin gave up. Frustrated, it turned to a simpler and shorter-term solution—tax breaks. What the state really needs is a complete economic overhaul. Tax breaks won’t accomplish that. That’s not to say tax breaks don’t have their place. They can entice established businesses to relocate. They can encourage existing ones to hire a few more workers. They can even help fledgling businesses gain a foothold. But they won’t create the kind of daring and brilliant entrepreneurs needed to reshape Wisconsin’s economy. No one ever started a revolutionary company because of tax breaks. Disruptive companies are founded because someone has a fantastic new idea, not because the state offered them a few thousand dollars. They succeed because they can hire intelligent, well-educated employees, not because they are paid to increase headcounts. Such transformative companies don’t magically appear because of low taxes. They bubble up in places that value education and innovation. Wisconsin is a state adrift. Where it used to be an agricultural and manufacturing powerhouse, today it is neither. It has no defining industry, no discernible direction. Wisconsin is trying to rediscover its economic muse, but it’s going about it in all the wrong ways. 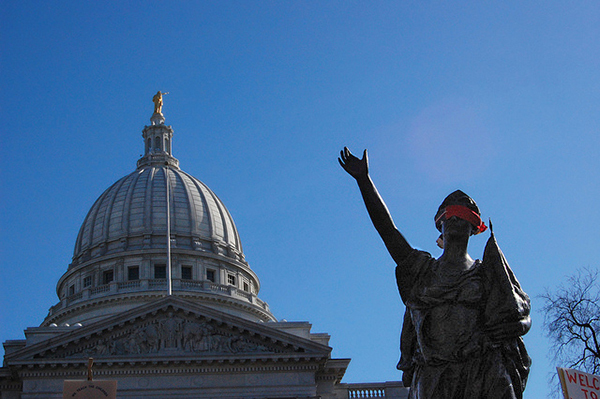 Wisconsin could still find its way by pouring money into education. That in turn would encourage the sorts of crazy innovation that happens across the street from places like Stanford and MIT. By offering its best and brightest more than just friendly faces and a low cost of living, it could keep them at home rather than lose them to other states. These changes won’t happen over night—Silicon Valley’s success took years, even decades, to manifest—but they could happen. Yet I know they won’t. Deep down, I know I will never be able to move back to Wisconsin.